Passing our own beloved childhood toys down to our little ones is one of the great joys of parenting. I have kept my Cabbage Patch and a huge tote of Barbie dolls for my girl, all safely stowed away at my parents’ house. Over Thanksgiving weekend at my mother-in-law’s house, I learned my husband has a few special toys as well, including… wait for it… THIS! 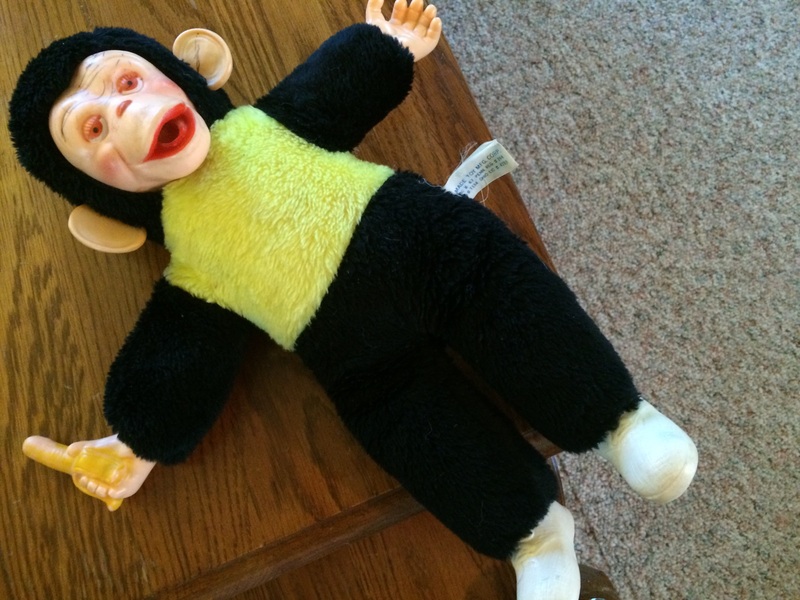 This monkey doll is the scariest thing ever. I swear there has to be at least one 1980s horror movie featuring this monstrosity as the main character. 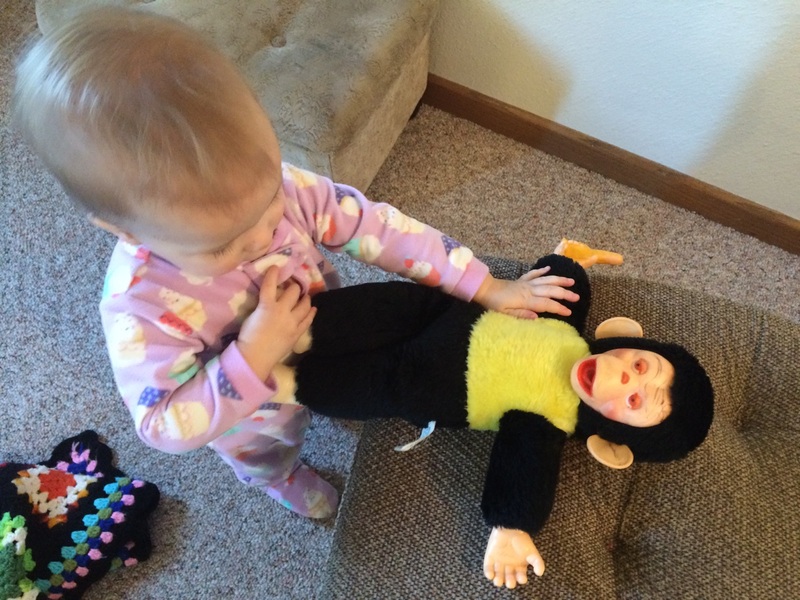 This monkey gives me nightmares, but my girl loves it. She carried it around like a baby. I was delighted that the monkey stayed at my husband’s childhood home and did not find its way into a suitcase to journey the nine hours to our own home. What toys from your childhood have you passed down to your little ones? None. But, that monkey is creepy. LOL!